Learn the basics of triangular shawl knitting. We’ll cover how they get to the basic shape, examine different sorts of increases, and work out how to get a garter border so that stockinet won’t roll. We will also talk about altering to shape to get a tie shawl and how to insert patterns. Bring with you yarn and needles. 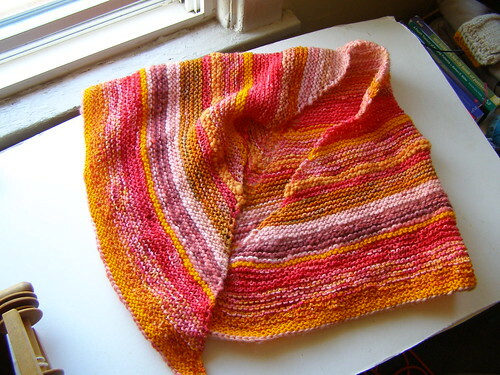 We will make mini shawls during the class, but you’ll leave ready to make your own big shawl! This entry was posted in classes, community, cosyknitsliterally, knitting, shawls, studio by cosymakes. Bookmark the permalink.